Now there's help from above! 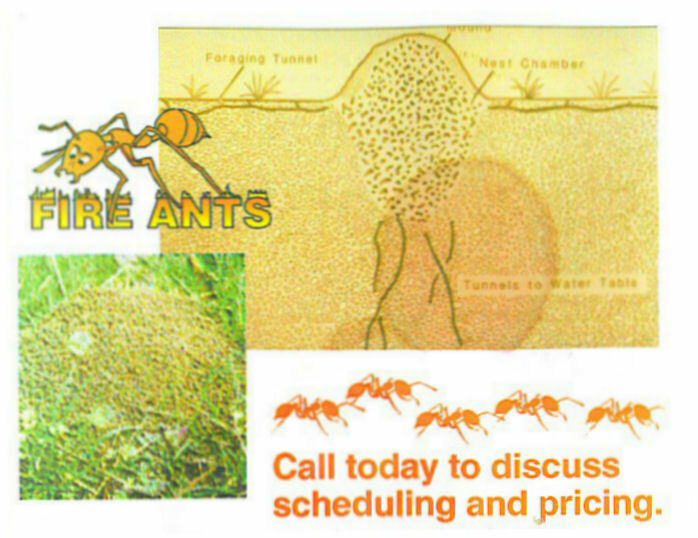 We can offer our customers located in quarantined areas an effective, economical method of treating the Red Imported Fire Ant. 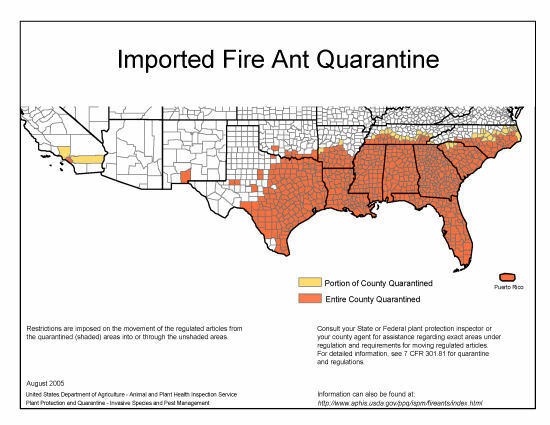 We aerially broadcast bait products, such as Amdro to areas that would take days to cover by ground (or that may not even be accessible by ground). This gets the job done much quicker, and frees your time for other task. Bait programs will usually give 80 - 90% control.